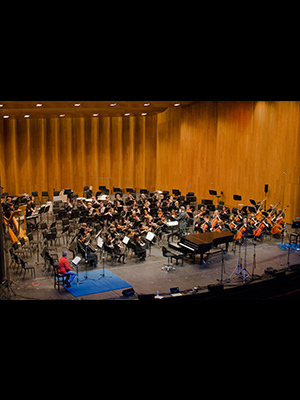 The Louisville Youth Orchestra performed on Show 317 in Louisville, KY, on February 3, 2016. Previously, they were heard on Show 117 in Louisville, KY. The Louisville Youth Orchestra (LYO), founded in 1958, provides an extraordinary musical experience for young people from grade school through age 21. The LYO is made up of four orchestras, an elementary string program, and various ensembles in which students advance according to their own musical progression and interests. There are nearly 350 musicians from 60 schools and 15 counties in the Louisville & Southern Indiana metro area. Musicians are required to participate in their school instrumental music programs and must take private music instruction. Financial scholarships for instruction are available and awarded based on need. Performance opportunities provide a wide range of meaningful experiences from September through June each year.